If you’re traveling to South Africa from the United States, it makes sense to stay a while and see as much as you can, since it takes a long time—about 15 hours from New York—to get there. Many travelers fly into the city of Johannesburg before embarking on a safari adventure in Kruger National Park or one of the nearby private reserves, such as Sabi Sands or Timbavati. 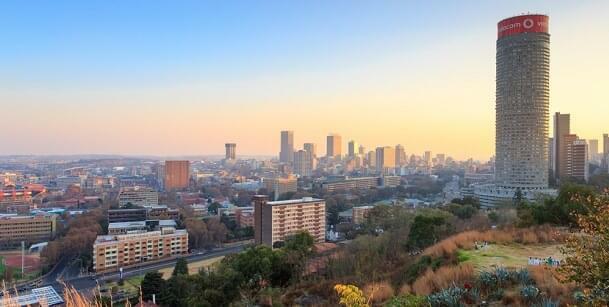 Johannesburg—or Joburg, as the locals call it—is an incredibly diverse city that’s worth exploring before looking for the Big Five African game animals in the bush. If you love history and sociology, there’s a lot to explore in South Africa, in part because of its former apartheid system. Ended in 1994, the divide between black and white that was enforced under apartheid is slowly being erased, and cities such as Johannesburg, the largest and wealthiest in in South Africa, are thriving. The majority of people in Joburg speak English, but you’ll also hear Afrikaans, Ndebele, Xhosa, Zula, Soltoh, Tswana and several other tongues. Visitors are encouraged to tour a former township, such as Soweto, on the outskirts of the city. 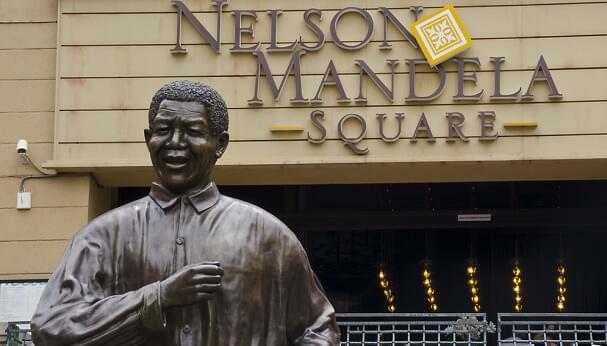 You can see the Mandela Museum—situated in Nelson Mandela’s former homestead—while you’re there. The Apartheid Museum, Constitution Hill and the Johannesburg Art Gallery are other popular tourist destinations. Delta and South African Airways offer the most direct routes from major U.S. gateways to O.R. Tambo International Airport in Johannesburg. What miles to use? You can book an award seat using Delta SkyMiles or miles from any SkyTeam member. What points to use? You can transfer American Express Membership Rewards points to Delta SkyMiles, Air France KLM Flying Blue, Alitalia MilleMiglia and Aeromexico Club Premier in order to book Delta award flights to Johannesburg. You can also transfer Starwood Preferred Guest (SPG) points to Delta and other SkyTeam members. It’s easiest to book through Delta SkyMiles or Air France KLM Flying Blue. What miles to use? You can book award seats using miles from South African Airways or its partners, including United, Air Canada, Singapore Airlines and ANA. What points to use? If you have Amex points, you can transfer them to Air Canada, ANA or Singapore Airlines and make a partner award reservation on South African Airways. You can also transfer SPG Points to Air Canada, ANA, Singapore Airlines and some other Star Alliance members, and then book a partner award to Johannesburg. A variety of airlines—Air France, British Airways, Brussels Airlines, Lufthansa, KLM, Swiss, Virgin Atlantic and others—also fly to Johannesburg. Those flights are longer and connect through European gateways. Once you’ve booked your flight, you’ll want to consider what hotel is right for you. Here are a handful of options that can be booked using hotel loyalty points. Your best options are hotels in Rosebank, an area with shopping malls, cafes, nightlife and clubs, or Sandton, Johannesburg’s financial district, which is home to several luxury hotels.